A box showed up on our front porch that read “perishable” on the side. We knew this meant something edible likely was inside. 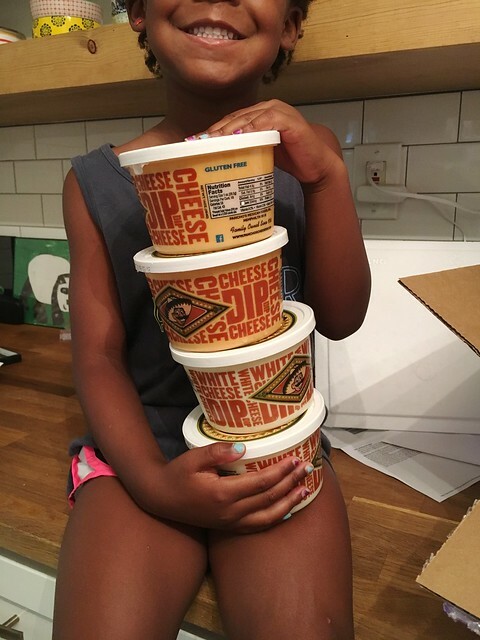 When we opened the box and found Pancho’s Cheese Dip we all about died. Laura Kelley Fun Fact #53: If I were given only one choice of what food to eat for the rest of my life it would be cheese dip…and chips. I know that’s technically 2 foods, but then again is it really?!?! They go together…it would unnatural to separate them. We had never tried Pancho’s before, but were super excited to give this Memphis, TN jewel a try and it did not disappoint. If you haven’t tried them and you like queso, look no further. So so crazy good. You can have it shipped…which is like the most fun mail ever…or pick some up at Walmart and Sams Club. 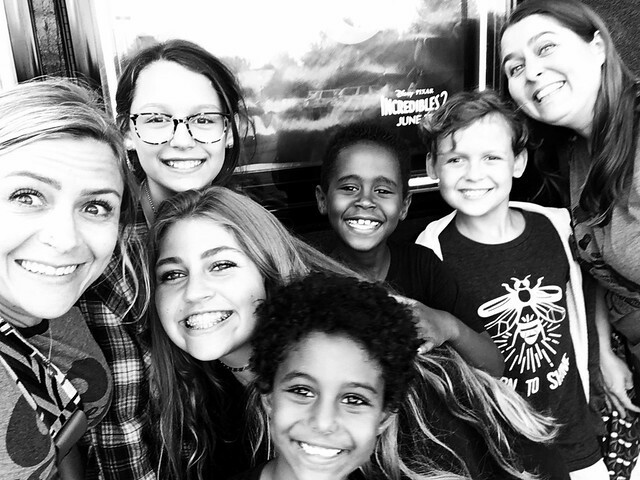 We went to see Incredibles 2 with Jen and Campbell and it was really good. I actually was not a giant fan of the first Incredibles. I remember cringing when little Harper, Hudson and Solomon would pick it for movie night because it was such a long kids movie, but the new one…I’m a fan. It was so funny and it had a lot of relevant life happenings. Mrs. Incredible was empowered being back in the work force, Mr. Increbile felt overwhelmed at first by staying home, but then came into his own and the kids found their place too. It was just a neat movie and we all laughed so hard and really enjoyed it. Friendship bracelets are all the rage at our house right now. It’s a boredom buster and I was able to bust out my friendship bracelet making skills I refined way back in middle school. I was admittedly a bit rusty at first, but finally remembered some of my old tricks. 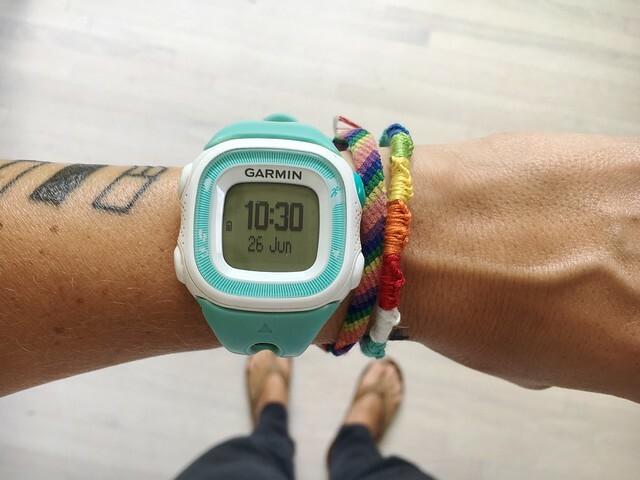 The kids were all impressed and now most everyone in our house is wearing at the minimum one friendship bracelet. I made myself a new rainbow one since my old one is hanging on by mere threads. 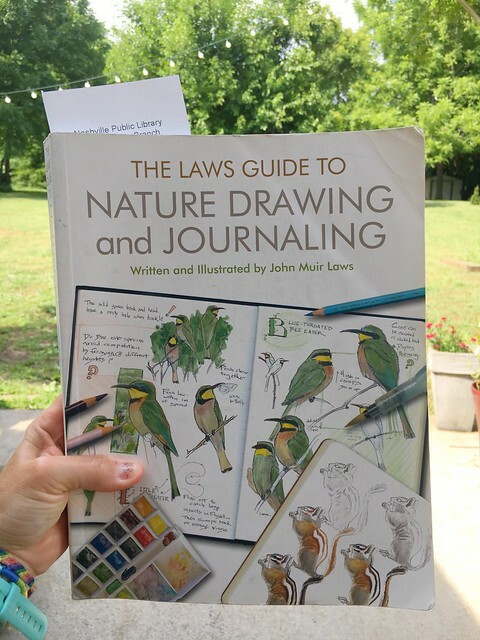 I read rave reviews about The Laws Guide To Nature Drawing & Journaling and new I needed to check it out asap. Our library had it so I have been enjoying it this summer and if you’ve ever wanted to learn more about nature journaling and lots of helpful tips, this book is for you. I love it!!! We’ve been listening to lots of audio books this summer. 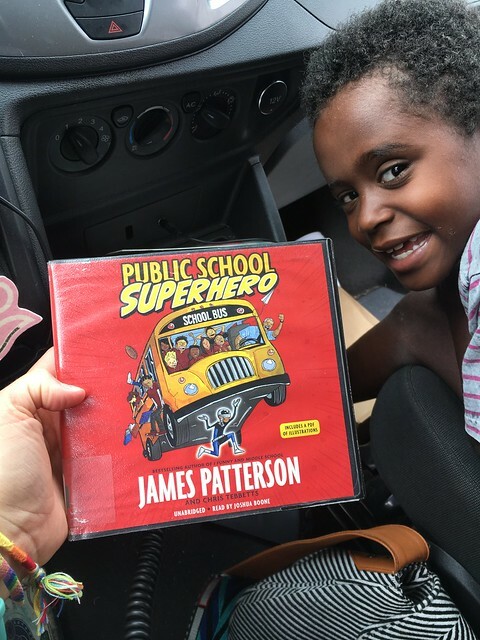 The top crowd pleaser so far was Public School Superhero by James Patterson. Every one of us LOVED this one. It made me laugh out loud and cry. It was sweet and witty and hysterical and real life and inspiring and made my brain swirl. I’m thinking it might take the award for most favorite of the summer unless something comes along and knocks it out of place between now and August. We received the sweetest gift in the mail recently from Jorden. At first Josh Kelley was hopeful it was a painting of me and him 😉 but turns out it was even better. It made me teary. Jorden is a medical student and while studying the heart she thought of our heart guys and especially Everett. I immediately found a place for it in our kitchen. I imagine it being a family heirloom. Thank you so much Jorden..it’s really beautiful. Asian snacks forever!!! 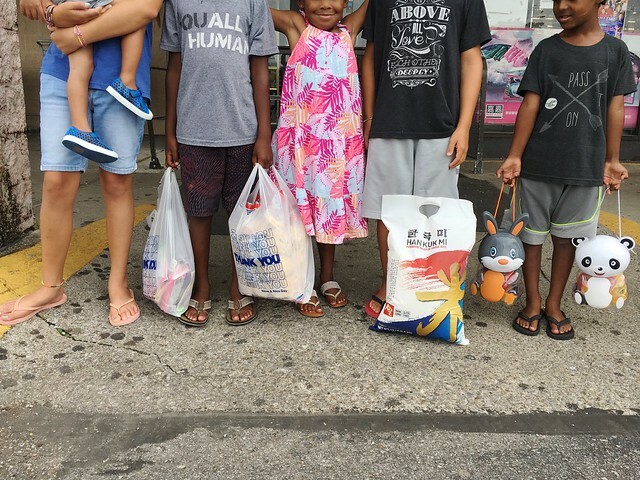 Josh Kelley is usually the one going to one of our local world markets to pick up all our favorite Asian snacks, but the kids and I recently went when we ran out of rice and they had so much fun. We found all our favorites and picked up some goodies for a new friend too. They always have these cute animal containers filled with the equivalent of kid jello shots and one container is gone in 5 days flat in our home. And Josh and I went on a date recently and after dinner we snagged dessert at Five Daughters Bakery. We’ve enjoyed their treats before, but I had never had their chocolate sea salt cronut. You guys!!!! I have been thinking about this treat even since. I can’t stop thinking about it. Like I think about it so much…an embarrassingly amount of my brain space is given to this donut. If you even get the chance, please for the love of humanity, try this deliciousness. You will not be disappointed. If you’ve got some favorite things I’d love to hear about them. I’m all ears!!! Thank you Camilla. You are always too too kind. Have I mentioned how awesome your family is???? Thank you for allowing us to share a small part of your life. I’m glad you are having some special times and are able to celebrate lazy summer days. Continued prayers for your shattered hearts. You are crazy kind!!! Thank you. I made a birthday cake for a friends father. I asked her what his favorite flavors were. She said Snicker candy bars! I started with 3 chocolate layers. I make peanut butter cups and so I used that inside mixture for between the layers as well as caramel sauce. I toasted some peanuts and salted them with a coarse kosher salt. Those went between the layers as well. Frosted the whole thing with a dark chocolate cream cheese frosting. Drizzled a bit of caramel and salted peanuts on top. It was a hit! I’m so glad that we left it at their house…it was dangerous!! 1. 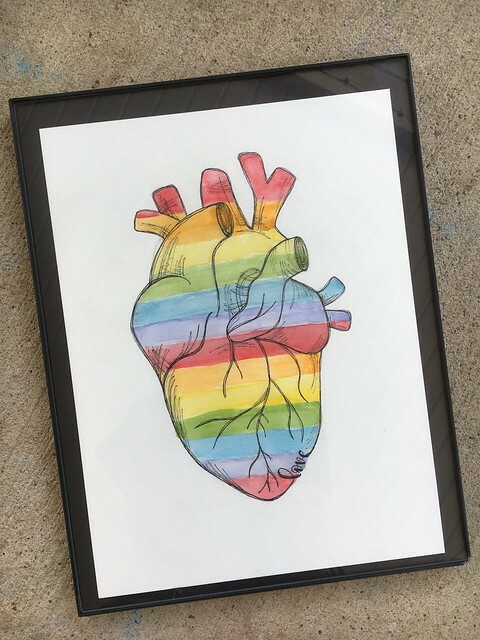 The beautiful drawing of the heart is so special…thoughtful and amazing. 2. 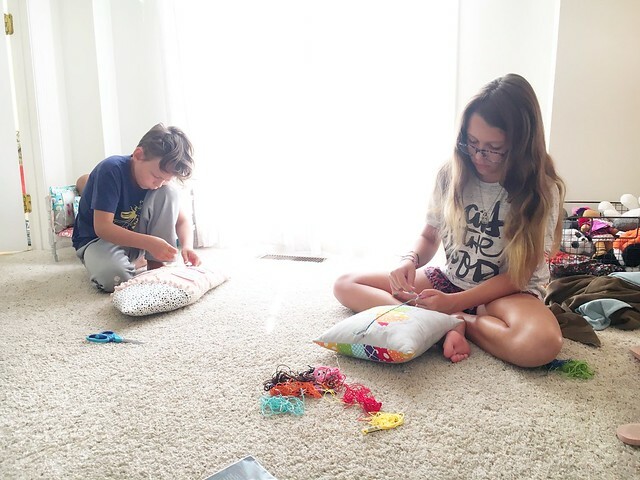 I am racking my brain at how I made those friendship bracelets and would love for you to do a video. Lol… seriously. 3. I am from the Midwest… apparently living under a rock. 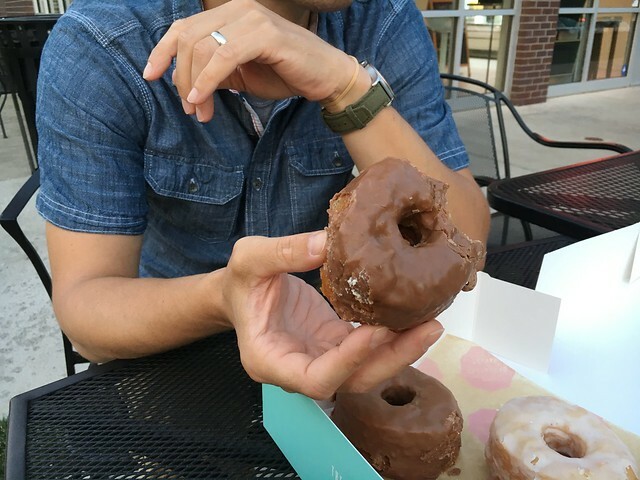 What is the difference between a cronut and a donut? Oh Laura, you need to leave the Midwest just for a cornet. 🙂 It’s a 100 layered crossing donut and it is life changing. See if your library has Clementine books on cd to listen to. They are so funny to listen to. Even my teenage son laughs at them. The person who reads the books is fantastic!!! One of our favorite audio books was The Tail of Emily Windsnap. There’s a series around it but I remember it being a fast favorite to listen to. We LOVED the narrator! I have a new favorite that is near you!!! You may already love these, but I recently discovered Nuvo Donuts. Holy moly. Those are hands down my favorite KK like donuts. Ive been going to the one on New Shackle and they told me that they make the ones for Goodlettsville Nuvo & they’re transported. I had often wondered where you bought your cute decorated donuts for your birthday donut towers. I bought Pancho’s cheese dip today. I’m a ding dong and it took me a second trip to Walmart to finally find it! I think about you guys every day. I’m so thankful you share your life in this space. I so enjoy reading! I’d really like to try one of those cronuts. I’m not sure if we have any near where I live. I’m especially thinking of you as you and your family are deep in the heartbreak of losing Everett a year ago tomorrow. I’m so sorry for all that you’re going through in reliving all the days up to Everett’s death and all the afterward through now. Thinking of you and praying you feel even the slightest comfort in God’s care for your family since that awful day. Thinking of your family during this difficult week.